Everyone wants a clean,glowing,flawless skin.To get such a one needs to maintain a good skin care regime religiously every day. A good skin care regime involves CTM(Cleansing,Toning and Moisturizing) every day,scrubbing once in a week,using a face pack once in 10 days and a facial once in a month. CTM helps in maintaining the skin healthy, clear and helps in improving the texture of the skin.Scrubbing helps in removing the dead cells and thus helps in keeping the skin smooth.Face packs helps in toning and tightening of facial skin,helps in preventing sagging of skin.Facials helps in overall rejuvenation of skin and helps in maintaining a healthy clear skin. Usually facials are done at Beauty Salons and Spas,but you need to spend long hours and huge amount of money for getting the required result.But you can easily do a Facial at home with all natural ingredients which can be easily available in the kitchen.There is no need to buy anything from the market and also they are 100 % safe,no side effects,no wastage of money and time too. Step 1 : Cleansing :: This is an very important step,as it removes all the dirt,oil,grime which is accumulated in the pores,thus providing a clean path for other ingredients to get absorbed into the skin. 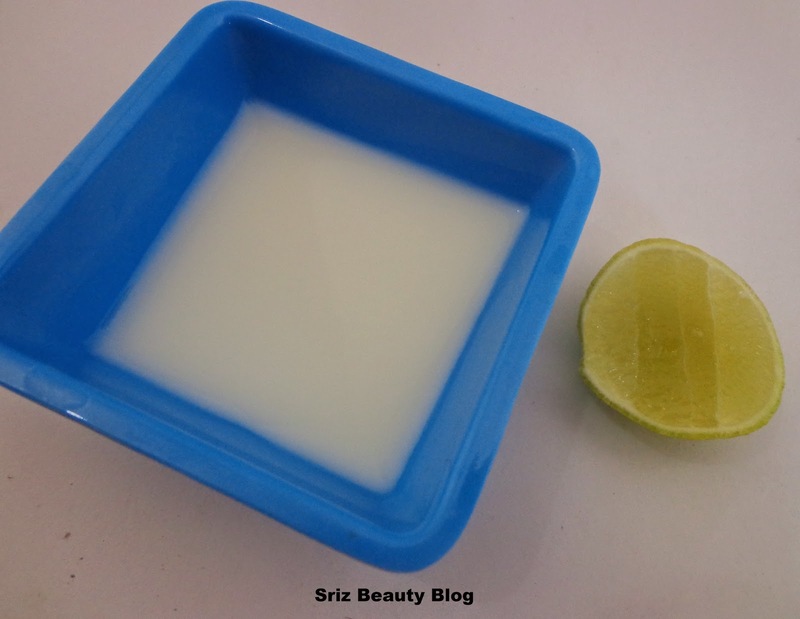 In a bowl add raw milk and lemon juice,mix and apply on to the face and massage all over the face and neck in circular motion gently for 10-15 mins.Clean with a cotton pad dipped in water or rinse thoroughly with normal water. If you are sensitive to lemon juice,then you can use milk alone. Step 2 : Exfoliation/Scrubbing :: This exfoliation helps in removing the black heads and white heads, mainly concentrated on the tip of the nose and middle of the chin. 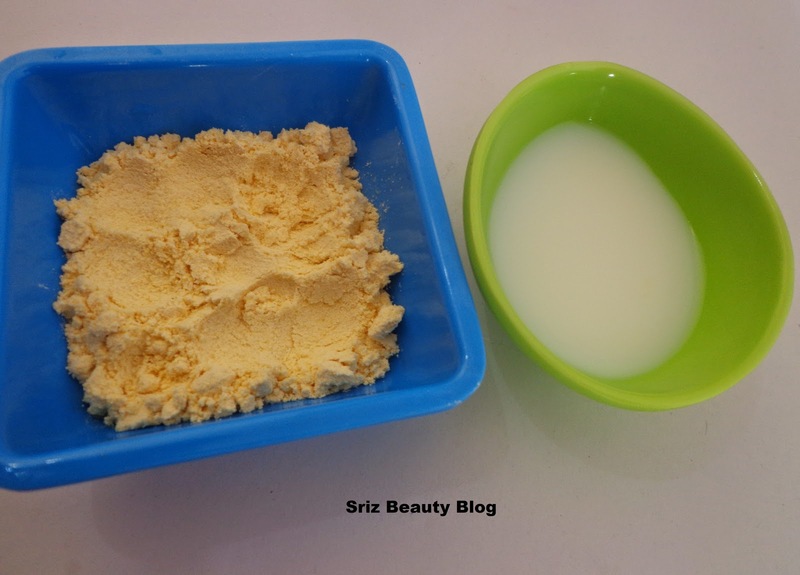 In a bowl mix both the ingredients and keep it aside for 10 mins.So that the sooji becomes little soft.Then apply this to the face and massage gently all over the face,neck especially concentrating on the nose and chin for 5-7 mins.If you feel sooji is harsh on your skin,then you can use rice flour. 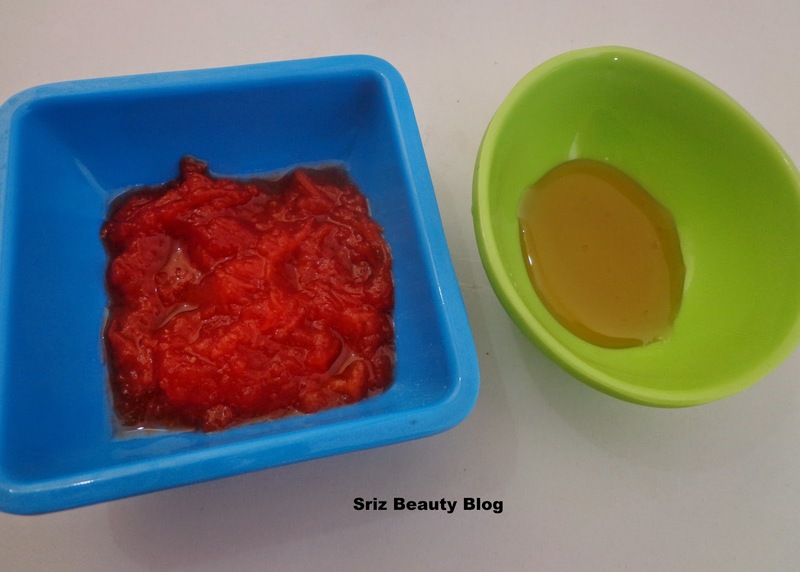 Step 3 : Massaging :: Massaging helps in proper circulation of blood,thus helps in improving the glow on the face.For this you can use any fruit pulp/paste.Here I am using papaya pulp. Mix both the ingredients and apply on to the face and massage for 30-35 mins with gentle massaging,then leave on the skin for another 15 mins and then rinse with luke warm/normal water.Pat dry. Step 4 : Face Pack :: Face packs helps in firming the skin after massaging.It is very important to use packs after massaging for tightening of skin or else skin becomes loose. 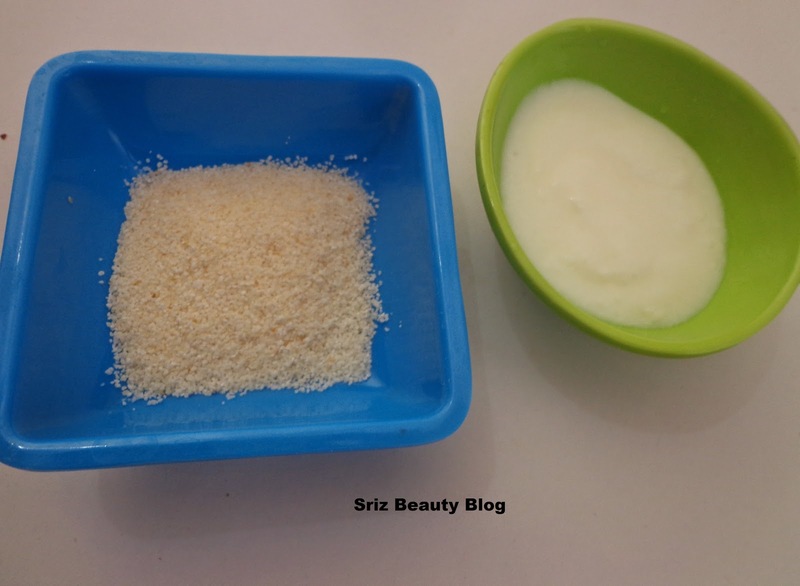 Mix both the ingredients and apply this as a pack all over the face and leave it on the face for 20-30 mins or till it gets dried up.Then rinse with normal water.You can try different varieties of packs basing on your skin type. Step 5 : Moisturization : After using face packs it is important to moisturize skin as packs tend to dry out the skin. Moisturization helps in restoring the lost moisture from the skin.For moisturizing apply any face cream on to the face and leave it. So,make facials part of your skin care regime at least once in a month and stay beautiful!!! If you have any party next day,do the facial before day to get the desired glow. Hope you liked this post.would love to hear from you.Please comment in the comment section and share your experience.